On November 10th, in conjunction with the November 11th Veterans Day Observances at the Clark Veterans Cemetery, the Central Luzon Chapter of the American Chamber of Commerce (CLAMCHAM), will host, on behalf of the Filipino-American Memorial Endowment (FAME), a special showing of the award-winning documentary “Forgotten Soldiers”, a wonderful film about the sacrifices of the US Army’s Philippine Scouts at the onset of WWII. Please join us at 1830 on the evening of Thursday, November 10th at the CubaKano Restaurant on Clark for this special tribute to our veterans. This event is being co-sponsored by the Veterans of Foreign Wars, American Legion and other Veteran groups. We also want to thank Mr. Bob Wagner and his CubaKano Restaurant for hosting us. This event is a Fund Raising event on behalf of FAME. 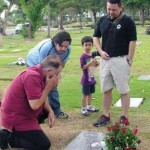 If you are not familiar with FAME, please visit their website at www.filipino-americanmemorials.org. 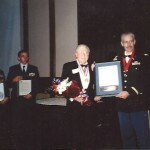 FAME has been instrumental in helping preserve, protect and maintain tangible reminders of the shared values for which Americans, Filipinos and their allies fought during World War II, including Bataan Death March Markers, the Hellships Memorial and other Memorials in Corregidor and Camp O’Donnell. FAME is entirely supported by Donations. This Special Showing of the film “Forgotten Soldiers” is a Fund Raising event, such that Php300 of the Php800 admission fee is being donated directly to FAME. Other donations can also be made at the time of admission directly to FAME or through their website. The evening will start with a reception to get reacquainted with old friends and meet new ones. It will include a social period with beer, wine, soft drinks and other appetisers and will continue through the moving showing. Please feel free to bring your spouse, friend or neighbours. Please share this announcement with others. If you are outside the local area, come join us Thursday evening and remain overnight for the Veterans Day observance at the Clark Veterans Cemetery. What a wonderful way to commemorate the sacrifices of our veterans. CubaKano is located on Clark, near the Jollibee, ChowKing, Burger King, Starbucks plaza just past PhilExcel. Take MA Roxas (old Mitchell Highway) to Jose Abad Santos and bear left, official address for you GPS is DBP Clark, Pavilion I, Berthaphil Center III, Jose Abad Santos Avenue, Clark Freeport, Angeles, 2023 Pampanga. When the Japanese launched their Pacific attack, General Douglas MacArthur’s United States Army Forces in the Far East included U.S. National Guard units, a regiment of Marines, ten divisions of newly recruited and poorly equipped Philippine Army soldiers, and one U.S. Army infantry division with supporting units — the Philippine Scouts. MacArthur told his men to hold their ground at all costs, to fight to the death if necessary as they began America’s first major battle of World War II, the Battle of Bataan. The top brass in Washington promised to send reinforcements, planes, naval support and supplies…but months went by and the reinforcements never came. The Filipino and American soldiers fought and held off the enemy from December 1941 through March 1942, surrounded and constantly bombarded by the powerful Japanese army and navy. As their ammunition, medicine and food supplies dwindled they went on half rations, then one-third rations. They were starved out — victims of malaria, dysentery and a variety of tropical diseases. After four months of almost constant combat, after every other Allied stronghold in the Pacific had fallen, Bataan commander General Edward King finally surrendered his surviving troops to the Japanese rather than see any more of his men slaughtered by the enemy. As Prisoners of War, the survivors of Bataan suffered one of the worst atrocities in military history — the Bataan Death March. Thousands of men died on the Death March, thousands more in horrible Japanese prison camps. In combat and as POWs, more than half of these brave men died at the hands of the Japanese Army. 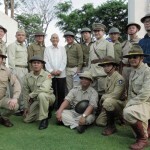 Even after the horrors of the Japanese prison camps, Philippine Scout survivors continued their resistance as guerrillas and, with liberation of the Philippines, prepared to participate in the invasion of Japan. Scouts who survived World War II went on to serve in the U.S. Army in Korea and in Viet Nam. In this award-winning documentary movie narrated by Hollywood actor Lou Diamond Phillips, ten survivors tell their story on-screen and describe the action over photographs, reenactments and actual footage of the events. Much of the footage is film captured from the Imperial Japanese Army at the end of the war, including sequences of the Bataan Death March and scenes shot live inside Japanese prison camps. 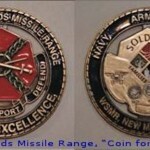 In the years since World War II the heroism and achievements of these soldiers have slipped into history and few Americans today are even aware of the existence of this unique military organisation. They were the U.S. Army’s Philippine Scouts. America’s Forgotten Soldiers. President, Filipino-American Memorial Endowment, Inc.
Filipino-American Memorial Endowment (FAME), Inc.
c/o The American Chamber of Commerce of the Philippines, Inc.
“Find my daughter.” A Father’s Last Request. 75th Araw ng Kagitingan and 2017 Philippine Veterans Week. Visit Filipino American Memorial Endowment, Inc.'s profile on Pinterest. Copyright 2015 - Filipino American Memorial Endowment, Inc. (FAME) Some items on this site may be copyrighted by others. FAME does not claim copyright to those items and uses then under license.